Mental health experts say the first step in recognizing possible mental illness in your children is to know their habits and patterns. Mary Rose O’Leary has shepherded three children into adulthood and teaches art and music to middle-school students. Despite her extensive personal and professional experience with teens, the Eagle Rock, California, resident admits she’s often perplexed by their behavior. “Even if you have normal kids, you’re constantly questioning, ‘Is this normal?’” says O’Leary, 61. Teenagers can be volatile and moody. They can test your patience, push your buttons, and leave you questioning your sanity—and theirs. I’m not being flip. Mental health challenges are a serious—and growing—problem for teenagers: Teen and young adult suicides have nearly tripled since the 1940s. The rate of 12 to 17 year olds who struggled with clinical depression increased by 37 percent in a decade, according to a recent study. And schizophrenia and other psychotic disorders often manifest themselves in adolescence. In fact, half of all mental health conditions emerge by age 14, and three-quarters by 24, says Dr. Steven Adelsheim, director of the Stanford Center for Youth Mental Health and Wellbeing, part of the university’s psychiatry department. For parents, it’s often hard to separate the warning signs of mental illness from typically erratic teenage behavior. When O’Leary’s son, Isaac, now 23, was a teen, he had two run-ins with police—once for hosting a wild party while his mom was away, and again when he and a friend climbed up on the roof and challenged each other to shoot BB guns. O’Leary dismissed those incidents as teenage pranks. But she did start to worry when she was in the midst of divorce proceedings with her then-husband and noticed that Isaac started exhibiting some unusual behavior. He complained of stomachaches and racked up absences from school. That’s when she decided it was time for the family to see a therapist. “It’s a question of what’s normal for my kids,” she explains. O’Leary is right. Mental health experts say the first step in recognizing possible mental illness in your children is to know their habits and patterns—to spot when they deviate from them—and to create an environment in which they feel comfortable talking with you. Instead of asking your teen to talk, share an activity that will give your child the chance to open up: Cook dinner together, walk the dog, take a drive, says Tara Niendam, an associate professor in psychiatry at the University of California–Davis. As part of getting to know your teen, monitor and limit your child’s social media activity, says Dr. Amy Barnhorst, vice chair for community mental health in the UC-Davis psychiatry department. Once you know your child’s baseline, you’ll be more attuned to signs of mental illness: persistent changes in your child’s everyday life that last more than a week or two. Be aware of disruptions in sleep, appetite, grades, weight, friendships—even hygiene. Maybe your son is spending even more time alone in his room. Perhaps your daughter, who is particular about her appearance, stops wearing makeup and isn’t showering. Essentially, take note when “there’s a lot of shifting and chaos” in their lives, she adds. Remember, you’re looking for changes in many aspects of your child’s life that last for a few weeks, not the typical—but temporary—sadness that comes with a breakup or the unfortunate mouthing off you get when you ask your kid to clean his room. 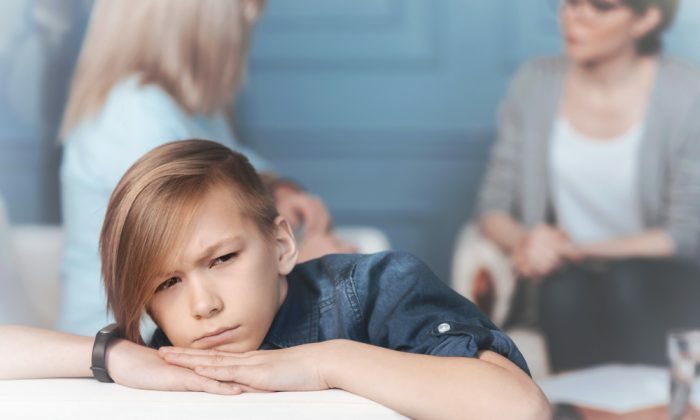 When you become worried that your child’s behavior may indicate something more serious, offer your child love and support—and seek help, experts say. And avoid phrases like “What’s wrong with you?” and “Snap out of it” when talking with your kids, Niendam advises. If your child threatens suicide, or you think he’s in imminent danger, take him to the emergency room. If there’s no immediate danger, start with your child’s pediatrician or primary care physician. In some cases, the pediatrician will be able to address the problem directly—or may refer you to a mental health specialist. You may face a long wait for a specialist—especially if you live in a rural area—and may find that many aren’t accepting new patients. Barnhorst suggests calling your health insurance plan and asking for a list of in-network therapists, psychologists, and psychiatrists. Then hit the phone and hope for the best. Another option, he says, is to check with nearby universities to see if they have mental health clinics that train students and see patients. While you’re seeking medical help, don’t forget to contact your child’s school, which may be able to make accommodations such as offering your child extra time for testing, Niendam says. She also suggests connecting with your local chapter of NAMI California (namica.org), a grass-roots organization of people whose lives have been affected by serious mental illness. “If you’re struggling, you can meet other parents and ask their advice,” she says. Emily Bazar, a senior editor and columnist for California Healthline, writes the “Ask Emily” column, which addresses readers’ concerns about the Affordable Care Act and other health care topics. This story was produced by Kaiser Health News, which publishes California Healthline, a service of the California Health Care Foundation.